Commenting on reports that some EU ministers have expressed concerns that search and rescue operations have acted as a “pull factor” for illegal migration, encouraging people to make dangerous crossings in the expectation of rescue, the International Chamber of Shipping (ICS) has noted that merchant ships are legally required to rescue persons in distress at sea by the IMO’s SOLAS convention, to which virtually every maritime nation is a party. Some Licensed Customs Agents on Friday in Lagos commended the Nigerian Shippers’ Council (NSC) downward review of the Progressive Storage Charges by terminal operators in Nigerian seaports. In separate interviews, they said that the tariffs review was a proactive measure that would enhance sustainable maritime business. Labels: features , News , Nigerian Shippers' Council , tariffs. The Nigerian Maritime Administration and Safety Agency (NIMASA) on Friday announced the re-appointment of its Director General, Mr Ziakede Akpobolokem, for a second term of four years. 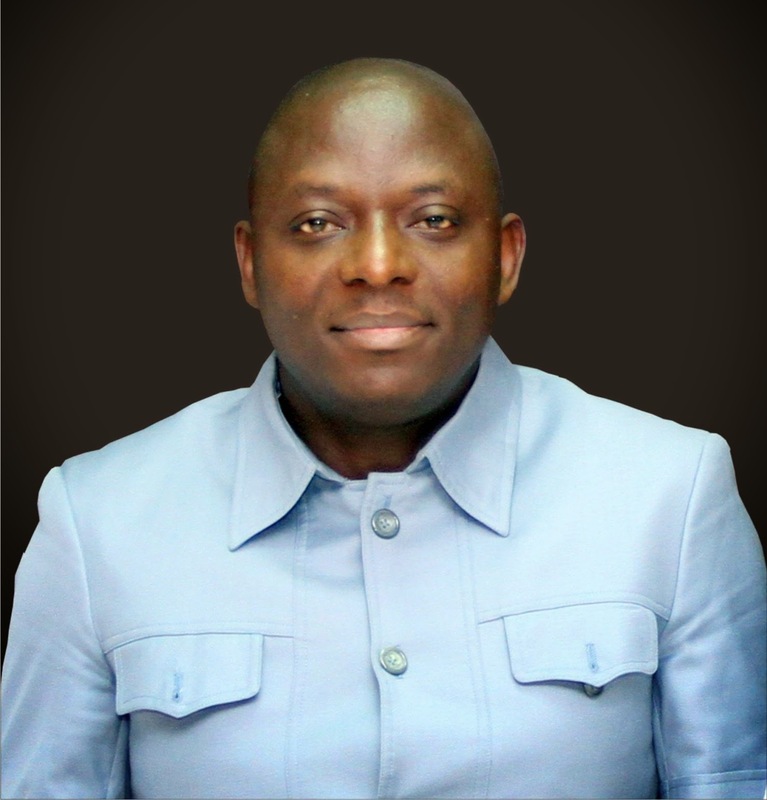 In a statement, the head of Public Relations, Mr Isichie Osamgbi, said Akpobolokemi’s re-appointed by President Goodluck Jonathan was conveyed in a letter dated Oct. 13, 2014. He said that the re-appointment letter which was signed by Sen. Anyim Pius Anyim, Secretary to the Government of the Federation, becomes effective Dec. 23, 2014. Labels: News , NIMASA , Ziakede Akpobolokemi. The Nigerian Shippers’ Council (NSC) on Friday in Lagos, announced the downward overhaul of Progressive Storage Charges by terminal operators at the nation’s seaports. Labels: features , maritime , News , Nigerian Shippers' Council , Progressive Storage Charge , tariffs. The Nigerian Ports Authority (NPA) disclosed on Friday that nine ships laden with 248,968 metric tons of petrol had arrived various terminals at the Lagos ports. The National Inland Waterways Authority (NIWA) on Thursday said that it would sanction dredging operators in Lagos State who did not comply with its rules and regulations. Vessel operating costs are expected to rise by almost three per cent in both 2014 and 2015, according to a new survey by accountant and shipping consultant Moore Stephens. Labels: features , Maritime Industry , News , vessels. A total of 250 trucks are expected to arrive at the Lagos Ports, the Nigerian Ports Authority said on Wednesday in Lagos. According to the NPA, the trucks will arrive in one ship among the 54 ships it is expecting at the ports from Oct. 29 to Nov. 30. Labels: News , NPA , Shipping Position , Trucks. Labels: News , Nigerian Shippers' Council , NIMASA , operational procedures. The Nigerian Ports Authority (NPA) on Tuesday said 11 ships laden with petroleum products have arrived at the ports in Lagos. 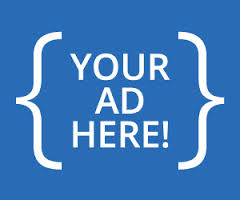 The NPA disclosed this in its daily publication, the 'Shipping Position,' made available newsmen in Lagos. According to the NPA, seven of the ships sailed into various terminals at the port with petrol, three had kerosine while one arrived with bulk gas. An additional 12 ships arrived the ports with food items and containers, the NPA said. Ships & Ports Communication, a maritime media firm, has called for entries into the 8th edition of the Annual Ships & Ports National Essay Competition. Capt. Dada Labinjo has emerged as the new president of the Nigerian Shipowners Association (NISA) after a keenly-contested election among three contestants. Labinjo won the election by polling a total of 31 votes from 72 votes cast, to emerge tops from the election which took place on Friday at the Rockview Hotel at Apapa, Lagos. 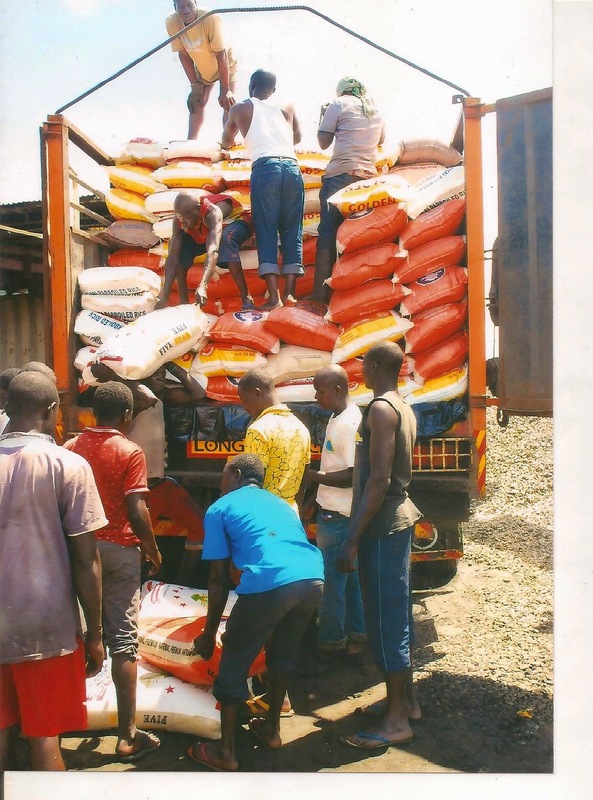 The Western Marine Command of the Nigeria Customs Service (NCS) on Thursday disclosed that it had impounded 2211 bags of rice, cooking oil and poultry products valued at N20.4 million. The Acting Controller of the Command, Johnson Gabriel, at a briefing in Lagos, said the seizures were made in two separate operations by his team. Fifty-five vessels are expected to sail into various port terminals in Lagos from Oct. 23 to Nov. 15, the Nigerian Ports Authority ((NPA) said on Thursday. This is contained in its daily publication, the ‘Shipping Position’. A breakdown of the expected vessels shows that 18 of the vessels are to arrive at the ports with containers while 17 will sail in with food items. It said 11 of the vessels would arrive with petrol, kerosene and aviation fuel while general cargo would arrive in six vessels and the remaining three vessels would bear vehicles. Meanwhile, the NPA also made known that 14 vessels had arrived with petroleum products at the ports. It said nine of the vessels waiting to berth were carrying petrol while the remaining five had diesel, kerosene and bulk gas. Seven other vessels waiting to berth at the ports sailed in with frozen fish, rice bulk sugar, buckwheat and containers. The vessels will sail into various terminals at the Lagos ports. Mr Hassan Bello, the Executive Secretary of the Nigerian Shippers‘ Council(NSC) says the idea of a new port order will only succeed with automation, fair price system, timely and amicable dispute settlements and easy access to the ports. Represented by one of the directors , Mrs A. Adeagbo, Bello made the remark in his keynote address at a one-day stakeholders seminar held on Wednesday by the Shippers‘ Association of Lagos State in collaboration with the NSC. 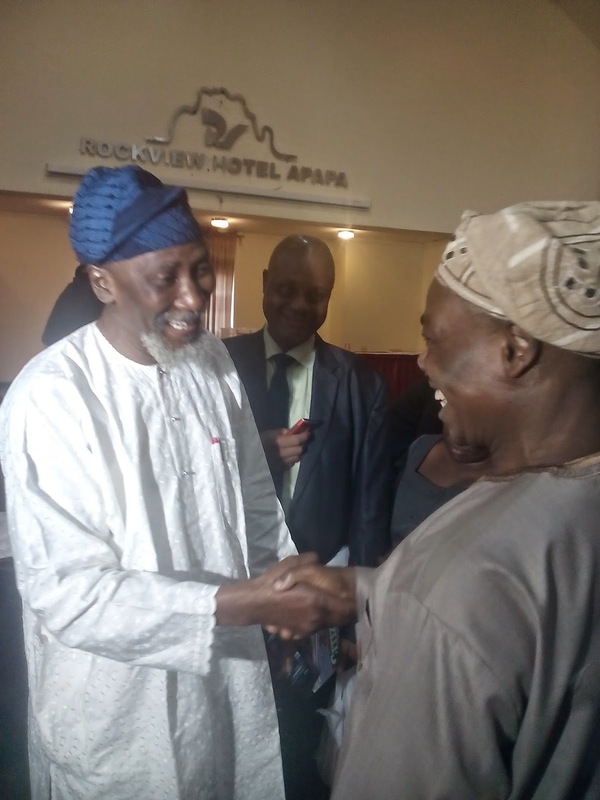 He noted that such system would eliminate corruption and reduce the problem of demurrage and human traffic at the ports to the barest minimum. The Clerk of the West African Students Union Parliament (WASUP), Hameed Coulibally,presenting the Kwane Nkrumah exemplanary leadership honour to the representative of the Group Executive Vice Chairman (GEVC) of Sifax group, Dr Phil Ofulue while the Special Assistant to the GEVC, Ezeikeil Ajewole, and the Director General of Djiboti Consulate, Folake Rojas admire. The West African Students Union Parliament has honoured the group Executive Vice Chairman of Sifax Group, Barr. Taiwo Afolabi, with the prestigious Kwame Nkrumah exemplary leadership award. The award was on Monday bestowed on Afolabi by the leaders of the students parliament headed by the leader of the group, Daniel Nwachukwu. 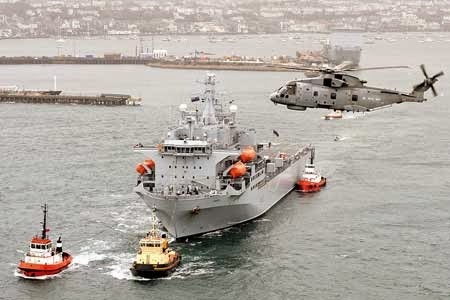 The response of the international community to the Ebola crisis in West Africa continues to ratchet up, with London dispatching a maritime-based medical task force (MTF) to Sierra Leone. Civilian and military medical personnel with stores and equipment are currently on passage to the former British colony on board the ‘Argus’. Labels: Ebola crisis in Africa , ebola virus disease , Maritime Industry , News , spotlight. For the second time in October, the Federal Inland Revenue Service (FIRS) has tackled companies defaulting in tax payment and remittance to the Federal Government. It would be recalled that the FIRS had on Oct. 3 clamped down on some oil companies in Lagos for failing to pay their taxes. In this fresh exercise which took place on Tuesday in Lagos, six tax-defaulting companies owing over N2 billion were visited. Labels: features , Federal Inland Revenue Service , News , tax default. The National Automotive Council (NAC) on Friday said it had signed a Memorandum of Understanding (MOU) with the WesBank of South Africa, to offer vehicle finance to retail and corporate purchasers in Nigeria. WesBank is a division of FirstRand Bank Limited of South Africa. In a statement, the Director General of NAC, Engr. Aminu Jalal, said the MOU was signed in Johannesburg, South Africa on Oct.16, with the aim of stimulating the sale of locally assembled vehicles in Nigeria. Labels: features , National Automotive Council. WesBank , National Automotive Industry Development Plan , News , Nigeria Assembled Vehicles. 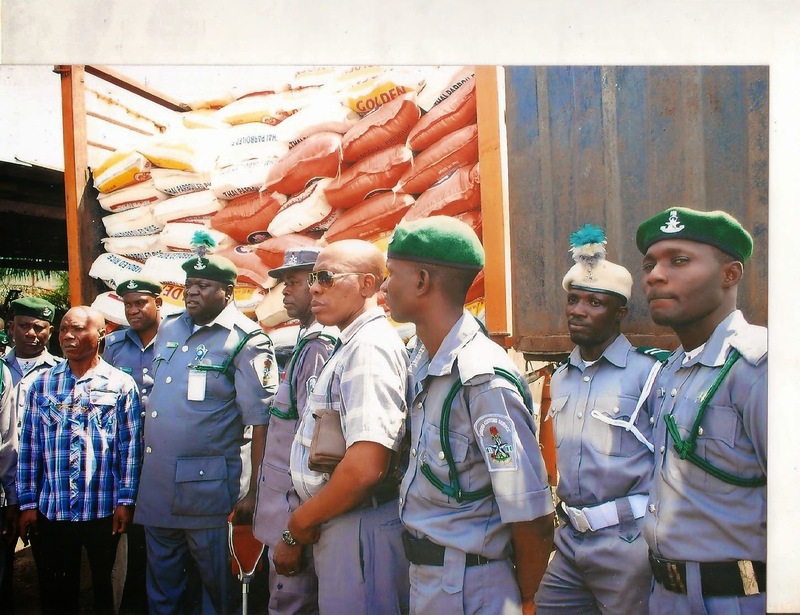 The Seme Area Command of the Nigeria Customs Service (NCS) said it realised N963 million as revenue in the month of September, even as it declares the border area as ‘unsafe’ for smugglers. Comptroller Willy Egbudin, who is in charge of the command, disclosed that the amount was the highest collected by the command between 2013 and September 2014. He said the command had also intensified efforts in its fight against smuggling activities, ensuring a ‘no escape operational mode’ against violators. L-R; Mr Joe Ugo-Emeribe, Secretary, Electoral Committee of NISA, and Capt. Niyi Adeyemo, Chairman of the Committee, at a briefing in Lagos on Monday. The Nigerian Maritime Administration and Safety Agency(NIMASA) will conduct the forth-coming election of the Nigerian Indigenous Ship-owners Association(NISA) on Oct.24 in Lagos. Capt. Niyi Adeyemo, the NISA Electoral Committee Chairman, disclosed this during a briefing at the association's secretariat on Monday. He said the choice of NIMASA as the 'Returning Officer' for the election was as provided in NISA constitution. Labels: features , News , Nigeria Indigenous Ship-owners Association , NIMASA. The Nigeria Customs Service, Apapa Area Command, on Friday said it had generated N78.6 billion in the third quarter of the year. The comptroller of the command, Eporwei Edike, disclosed this in an interview in Lagos. According to Edike, N30.5 billion was generated in September; N22.7 billion in July, and N25.5 billion in August. 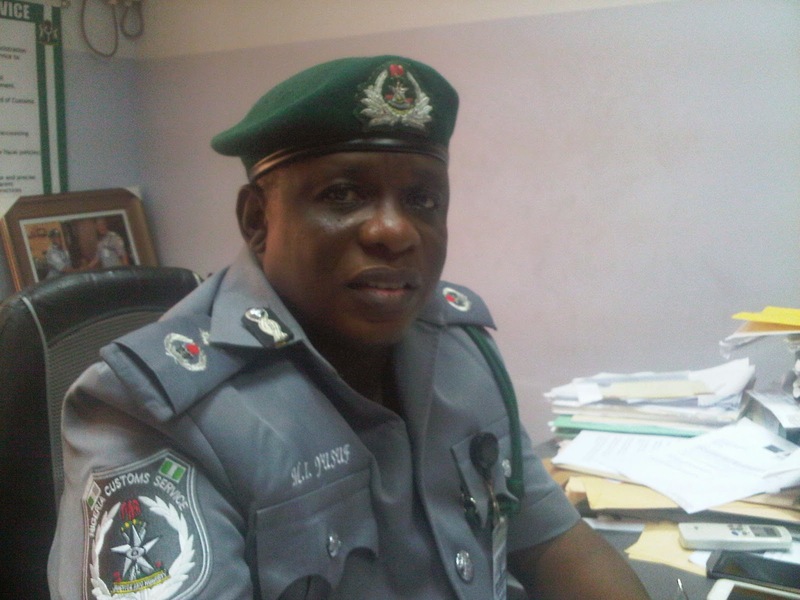 The Tin-Can Command of the Nigeria Customs Service generated N69.1bn revenue in the third quarter of this year. The controller in charge of the command, Comptroller Zakari Jibrin, made the disclosure in an interview on Friday in Lagos. He said the 2014 third quarter revenue was higher than the corresponding period last year, when N67.4bn was generated. 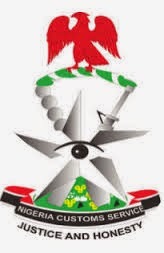 The Western Marine Command of the Nigeria Customs Service on Wednesday said it impounded 60 bags of rice, eight bales of used clothes and 16 cartoons of condensed milk. Controller of the command, Johnson Gabriel, said in Lagos that the seizure was made at the Badagry waterside on Oct. 2. 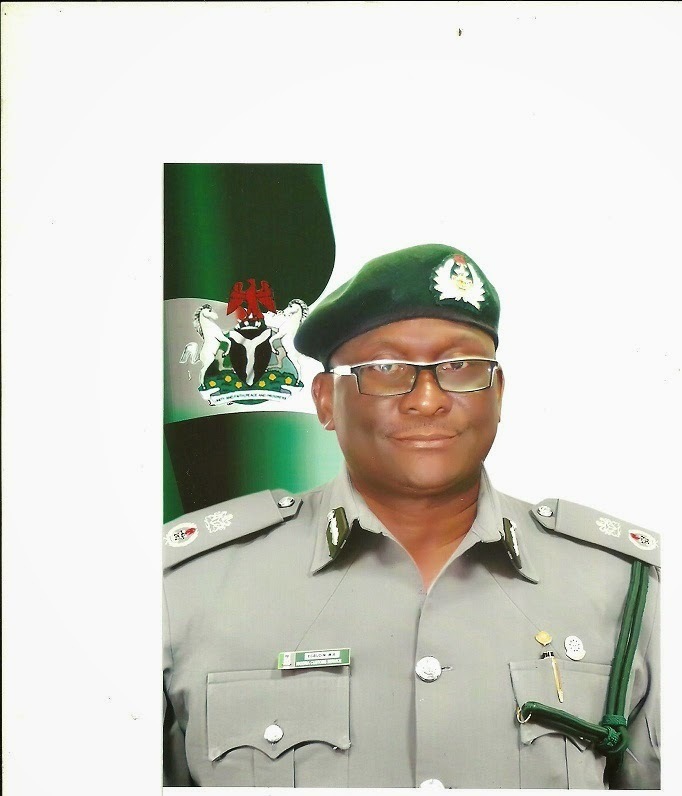 Deputy Comptroller Malanta Yusuf, who is in charge of the Automated System of Customs Data (ASYCUDA) at the Apapa Area Command of the Nigeria Customs Service, says automation has facilitated easy goods clearance documentation process. If the National Association of Government Approved Freight Forwarders (NAGAFF) has its way, the Standards Organisation of Nigeria (SON) may just not be the sole organisation regulating the quality of products manufactured in Nigeria or those imported into the country. 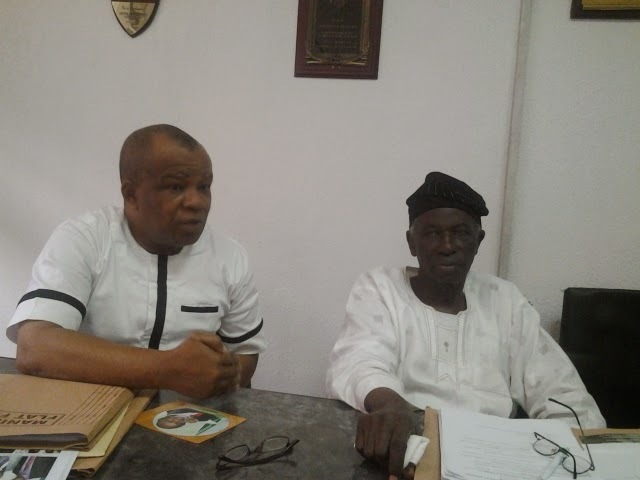 In an interview in his office, the NAGAFF National President, Chief Eugene Nweke, questioned SON's competence and the monopoly it enjoys in the execution of its brief. "There is need for independent product conformity assessment bodies, also known as 'accreditators'; these are professional bodies or associations of industries in the private sector," Nweke said. 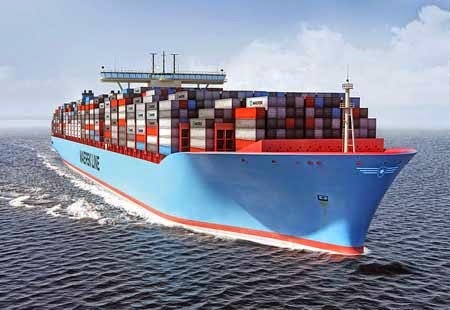 The Nigerian Institute of Freight Forwarders and Customs Brokers (NIFFCB) says it is working towards building a large data base of freight forwarders in Nigeria. Mr Ifeanyichukwu Joseph, the institute’s Ag, Executive Secretary/ Registrar, says the initiative will serve research purposes and also enable media access vital information for purpose of news-worthy information to the public. 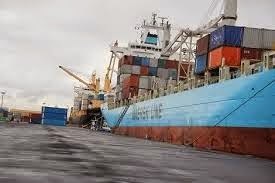 The Joint Shipping Initiative has announced additional funds to a United Nations Development Programme (UNDP) project to improve the lives of Somalis and security for seafarers. The Initiative – made up of Shell, BP, Maersk, Stena and Japanese shipping companies NYK, MOL and "K" Line – earmarked US$1.5 million of additional funds to a the UNDP's "Alternative Livelihoods to Piracy in Puntland and Central Regions of Somalia" project, which aims to reduce piracy off the coast of East Africa through local economic development, job creation, training, and business development grants. Mr Uchu Block, the Vice President of the Council of Managing Directors of Licensed Customs Agents, has faulted the port concession model presently being operated. In an interview in Lagos, Block said that it was wrong for the ports to have been left totally in the control of the concessionaires. He said the model would make it difficult for Nigeria to have people take over from the present terminal operators after the agreed 25-year agreed period of concession. Labels: features , Licensed Customs Agent , Maritime Industry , News , port concession. The Nigerian Ports Authority (NPA) has commenced the implementation of the minimum standards for haulage trucks operating in the ports today. The Apapa Port Manager, Anas Nasir, said in Lagos that the NPA would begin with more of an awareness campaign for the truck drivers. It would be recalled that the NPA had earlier informed the Association of Maritime Truck Owners (AMATO) of its intended implementation exercise, which was also acknowledged by the association. Nasir said this strategy was necessitated by the truck association’s appeal to make the truck standards implementation a gradual process, so that people were not pushed out of business. Labels: AMATO , Apapa port , features , Maritime Industry , News , NPA , Trucks.